PART 1: Scientific Method, Scientific Measurement and Psychometrics. Scientfic Method, Realism, Truth and Psychology. 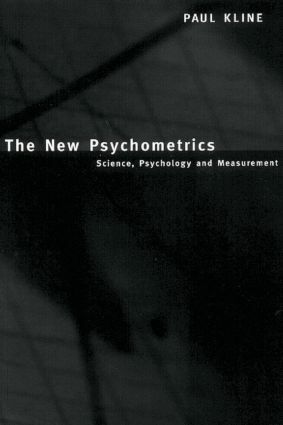 Scientific Measurement in Psychometrics and and Measurement in the Natural Sciences. Factor Analysis and Psychometric Measurement. Multivariate Analyses and Test Construction: Other Methods. Summary, Conclusions and Overview of Part 1. PART 2: The New Psychometrics: The Scientific Measurement of Personality and Ability. Intelligence and Ability. Primary Factors, Cognitive Speed and New Measures of intelligence. Problems in the Measurement of Personality and Motivation. Personality Structure and Scientific Measurement. The New Psychometrics: Principles and Theory. References. Name Index. Subject Index.